Different Types of Breast Cancer: Section 5.a. 5.1 Why Classify Breast Cancer? Forward to section 5B on lobular types Back to 4D atypical and in-situ. The most common type of breast cancer, presenting in my clinic, is by far Invasive Ductal Carcinoma. I hate pie charts. I get all excited by the word ‘pie’ only to discover it’s a round graph. Rare sub-types of invasive breast carcinoma account for less than 3 % of all cases. Invasive ductal breast cancer, or infiltrating ductal carcinoma (IDC) is the commonest type of breast cancer with the most histological sub-types. This malignancy arises from the breast duct epithelium. In view of the variety of histological appearances seen in Invasive Ductal Breast Cancer, sometimes within the same tumor, those tumors without distinctive features have been termed, invasive carcinoma ‘not otherwise specified’ (NOS). If a cancer is ‘invasive ductal’ or ‘not otherwise specified’ (NOS), does the NOS change things? Not currently. Treatment and prognosis are the same. In the 2012 revised World Health Organization (WHO) guidelines, invasive ductal breast cancer without distinctive features is now termed breast carcinoma of ‘no special type’ (NST). But in practice, diagnostic pathology reports will still contain ‘ductal carcinoma’ as a diagnostic term. Section 6, will include the ‘specialized’ diagnostic tests that may be done on breast tissue samples when examined by the Pathologist; these include immunohistochemistry (IHC) for cell biomarkers (including E-cadherin), estrogen-receptor (ER), progesterone receptor (PR) and HER2 testing. What? NOS is out of favor, and NST is the new, but still weird way to be vague. That’s funny. Benign and malignant tumors have been classified on morphological microscopic appearance alone. When it became clear that different morphological types of tumor had different behavior and prognosis, morphological classification became more important and more refined. With the development of immunohistochemistry (Section 6) to identify cell characteristics, and with molecular tumor profiling and tumor biomarker analysis, there has been further refinement in tumor classification. This interest in tumor classification continues to be an important part of the clinical process. Detailed classification of breast tumors is justified as long as it has meaning for the treatment of patients, as an indicator of response to therapy, or as an indicator of prognosis. In 2012, the World Health Organization (WHO) sought the advice of Pathologists, Physicians and Oncologists worldwide to produce the 2012 revised WHO Classification of Breast Tumors. This 4th Edition replaces the 3rd Edition of the Classification of Breast Tumors, from 2003 and is the first edition to separate breast tumors from tumors of female genital organs. It takes into account newer developments in the understanding of specific breast lesions. Refinements to the terminology and classification of breast cancer have been accelerated by the breast screening program, due to the early detection of breast cancers. For any woman who receives a diagnosis of a breast abnormality and who reads her diagnostic pathology report, the meaning is everything. The 4th Edition of the WHO classification (2012) of breast tumors has some important changes and recommendations for invasive breast cancer. 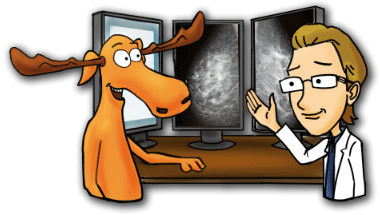 This section on breast cancer includes a description for each classification of tumor type. The sub-set of micro-invasive breast cancer is now defined as pT1 breast cancer; cells infiltrate beyond the basement membrane at 1 or more foci, but none measure more than 0.1 cm (1 mm) in greatest dimension. The new 2012 WHO classification has used the TNM definition of the UICC/AJCC for micro-invasion. When the Pathologist examines the breast tissue section under the microscope, it is possible to measure tumor invasion, tumor size and the size of excision margins using the microscope Vernier scale (Cotton, 1984). Oh No, there are a lot of letters up there: AJCC, UICC and TNM, what’s all that about? Really, UICC is the Union for International Cancer Control and AJCC is the American Joint Commmitee on Cancer. Just click on the links and all will become clear. Micro-invasive carcinoma is associated with extensive ductal carcinoma in-situ (DCIS), notably of high nuclear grade. The reason for the application of strict histological criteria for the diagnosis of a micro-invasion is in order to avoid over-diagnosis of micro-invasion. Such a diagnosis will be of great importance to any patient and to her physicians and breast surgeon. Like ductal carcinoma in-situ (DCIS), micro-invasive carcinoma is identified more commonly in diagnostic pathology samples, due to the breast screening program. Micro-invasive breast carcinoma remains an uncommon disease, accounting for less than 1 % of all breast cancers; when it occurs, it is mainly ductal in type (Viera et al., 2010). Tip #1 to being TM: At lunch time, sit in your parked car with sunglasses on and point a hair dryer at passing cars. See if they slow down. Yeah Moose, I enjoyed that! I’d say about 65% slowed down. Shall we make a pie chart? PIE? Did somebody just say Pie?! Historically, there have been varying diagnostic criteria for micro-invasion, and because of this, there is little data in the literature on the clinical behavior of a micro-invasive carcinoma. However, it does appear that the outcome for the patient with a micro-invasive carcinoma is good, with little difference from patients with DCIS. A core needle biopsy (CNB) is the most common type of diagnostic biopsy. So your pathology report may say DCIS ‘suspicious for’ micro-invasion. It is only when the surgeon removes the entire breast lesion that there can be a diagnosis of micro-invasive breast carcinoma. 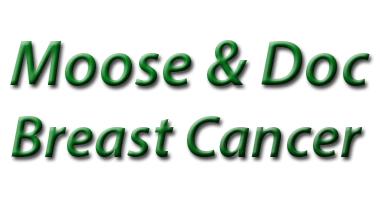 The 2012 WHO guidance recommends that the treatment for a micro-invasive carcinoma follows that for high-grade DCIS. sampling shows an area of micro-invasive ductal carcinoma (*). ‘Synchronous’ breast cancer means that there is a contralateral breast carcinoma detected simultaneously or within three months of the primary tumor. ‘Metachronous bilateral breast cancer occurs more than three months after diagnosis of the first tumor. It is important for the physician to distinguish bilateral breast cancer from metastatic cancer in the contralateral breast; this is a much more rare occurrence. A metastatic breast cancer, from one breast to the other, can be difficult to characterize. Invasive ductal breast cancer (IDC) is also called ‘infiltrating’ ductal carcinoma; it is the most common type of breast cancer. Approximately 80% of all breast cancers are invasive ductal carcinomas (IDC). One of the recommended changes in the 2012 WHO guide is to the terminology for invasive ductal carcinoma (IDC) from ‘not otherwise specified’ (NOS) (2003) to invasive carcinoma of ‘no special type’ (NST) (2012). The American Cancer Society have reported that each year more than 180,000 women in the United States learn that they have invasive breast cancer. Most of these women are diagnosed with invasive ductal breast cancer (IDC). The word, ‘invasive‘ means that the cancer has spread into the surrounding breast tissues. Those figures are quite sobering – over 180,000 women diagnosed every year in the US alone. I know, that’s a lot of ladies but at least the outcome is looking better. Invasive ductal breast cancer (IDC) affects women of all ages, but it is more commonly found with increasing age. According to the American Cancer Society, 60% of women are 55 or older when they are diagnosed with an invasive ductal breast cancer. On gross examination, these tumors are typically hard, gray or white, gritty and with an irregular, stellate edge. The histology of invasive ductal breast cancer (IDC) features cords and nests of tumor cells with varying amounts of gland formation. The tumor cells are associated with a fibrous response which results in a palpable mass and the characteristic radiologic density. In 1957, Bloom and Richardson first developed a histology grading system for invasive ductal carcinoma (IDC) of the breast, based on the degree of tubule formation, cell nuclear pleomorphism and mitotic count. This system was replaced or modified in 1991 by the ‘Nottingham’ grading system’, which is still based on a ‘points’ scoring system of the histologic features of the cancer; mild, moderate or severe or Grade 1, 2 or 3 (Elston & Ellis, 1991). Points don’t mean prizes in this case, do they? Unfortunately not, the lower your points, the better the diagnosis. But if you do score highly, remember each case is individual and there are all sorts of effective treatments. and … Grade 3 – poorly-differentiated. the nuclei are enlarged, vesicular and there are atypical nuclear mitoses. #1 looks like frog spawn. # 2 looks like a close up of frog spawn and # 3 looks like blurry frog spawn. Pleomorphic breast carcinoma has a characteristic histology; more than 50 % of the malignant cells show six or more varieties of cell morphology (cytology). Pleomorphic breast carcinoma is now considered to be a distinct sub-type of breast tumor in the new WHO classification scheme and is a rare, high-grade variant of invasive ductal carcinoma (IDC). Pleomorphic carcinoma has a poorer prognosis, in keeping with its high-grade (poorly-differentiated) characteristics. Pleomorphism in malignancy may cause diagnostic difficulties. In the case of pleomorphic carcinoma of the breast, the differential diagnosis will include metastatic breast tumors, such as metastatic sarcoma or carcinoma with osteoclast giant cells. ‘Pleomorphic breast cancer’ has not previously been well-recognized; it is now considered to be a distinct breast cancer phenotype. associated with areas of necrosis, inflammation and necrosis. The word ‘metaplasia’ means the replacement of one differentiated cells type by another differentiated cell type. Cancer cells lack the restraints in behavior seen by benign cells; many cancers ‘de-differentiate,’ particularly when they are more poorly-differentiated. Breast cancers can also incite a metaplastic response in the normal breast tissues that they invade. The most common variants of ‘metaplastic carcinoma’ include those with melanotic features, choriocarcinoma and osteoclast giant cells. Photomicrographs of the histology from metaplastic tumors. A. with melanotic features. B. with choriocarcinoma. C. with osteoclast giant cells. Forward to section 5B on lobular types. Back to 4D atypical and insitu.